Looking back upon the American Revolution, one can argue that American success in achieving independence was due to the operational and strategic mistakes of the British. That argument has plenty of merit. Another argument, however, is that the American General George Washington operated with a posture of strategic agility, giving him and his forces the dynamic capability to sense and respond to the environment they faced. That claim also has merit. The primary strength, however, that the Americans had was its belief system and sense of having been wronged—betrayed, even—by the British. Washington recognized this and used it to his advantage, which demonstrates a sense of strategic agility. As such, he drew upon a fervent belief that his work had a divine purpose and a deep conviction in fighting for the freedom of Americans. [iii] This core belief built resilience within Washington himself as a leader and among his troops during desperate times, including the winter of 1778 in Valley Forge. Second, Washington knew he must avoid a catastrophic large-scale encounter with the superior British forces. This approach highlights another aspect of his strategically agile sensibility. Namely, it demonstrates knowledge of his own capabilities along with the potential weaknesses of the British in waging a protracted war—one that was thousands of miles from their political leadership and primary source of supplies. 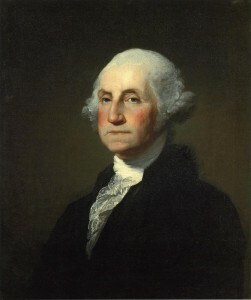 By such use of information, Washington effectively remained abreast of changing conditions—both among his enemy and their movements and among the local population. Such information and the aggressive leadership by Washington to acquire additional intelligence reflect his ability to collect evidence for use in strategic decision making. Being agile continually requires leaders to seek new information, challenge assumptions, and respond in a way that recognizes one’s limitations. In many ways, this is what George Washington did as a leader during the American Revolution. And more than 200 years later, Washington’s actions continue to deliver lessons that are relevant in today’s turbulent business environment. [i] Lydia Saad, “Neither Major Party Cracks 40% Favorability in Latest Poll,” March 16, 2015, http://www.gallup.com/poll/181985/neither-major-party-cracks-favorability-latest-poll.aspx?utm_source=&utm_medium=&utm_campaign=tiles. [ii] Russell F. Weigley, The American Way of War: A a History of United States Military Strategy and Policy, Nachdruck, Wars of the United States Series (Bloomington, IN: Indiana Univ. Press, 1991). [iii] Robert Middlekauff, The Glorious Cause the American Revolution, 1763 - 1789, Rev. and expanded ed, The Oxford History of the United States, C. Vann Woodward, general ed. ; Vol. 3 (Oxford: Oxford Univ. Press, 2007). [iv] Ibid. ; Weigley, The American Way of War: A a History of United States Military Strategy and Policy. [v] Sun Tzu, The Art of War, trans. Samuel B Griffith (London; New York: Oxford University Press, 1971). [vi] Weigley, The American Way of War: A a History of United States Military Strategy and Policy. [vii] David Hackett Fischer, Washington’s Crossing, Pivotal Moments in American History (Oxford: Oxford Univ. Press, 2006).